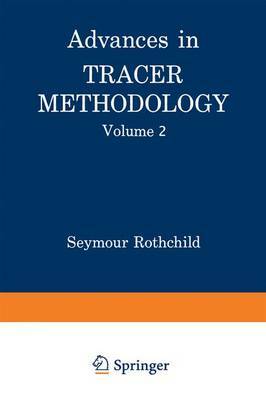 Advances in Tracer Methodology, Volume 2, records the pro- ceedings of the 6th, 7th, and 8th Symposia on Advances in Tracer Methodology. These Symposia, which are part of a continuing series sponsored by the New England Nuclear Corp. and the Packard Instrument Company, Inc., are devoted to the entire isotope tracer field: preparation and analysis of labeled compounds, applications in the chemical, biochemical, and clinical fields, and health physics considerations associated with tracer work. The papers in this volume reflect certain trends which can be noted in the tracer field: increasing reliance on biochemical methods for labeling esoteric compounds, growing awareness of the problems of radiation decomposition, the use of advanced instrumentation for the analysis and detection of radioactive substrates, and the rapidly growing application of tracer compounds to clinical diagnosis. The three Symposia at which the papers were presented were held on the following dates: DATE LOCATION CHAIRMAN 11/16/62 New York City Daniel Steinberg, Chief Laboratory of Ce1lular PhYSiology and Metabolism, National Heart Institute, Bethesda, Maryland 3/8/63 Los Angeles Martin Kamen University of California San Diego, California 11/8/63 Chicago Joseph L. Rabinowitz Veterans Administration Hospital Philadelphia, Pennsylvania Once again, it is the editor's pleasure to acknowledge the help of his colleagues in planning and running the various Symposia, as well as the excellent cooperation of the chairmen, who acquitted themselves in their appointed tasks in a most efficient manner, With humor and understanding. S. R. Boston, Mass.